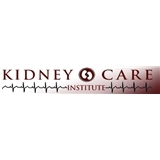 Kidney Care Institute (Los Angeles) - Book Appointment Online! The Kidney Care Institute is dedicated to preventing kidney and urinary tract diseases, improving the health and well-being of individuals and families affected by kidney disease and increasing the availability of all organs for transplantation. Through our offices , the Kidney Care Institute conducts extensive public and professional education, advocates for patients through legislative action and supports kidney research to identify new treatments. The Kidney Care Institute relies on individual and corporate donations, business partnerships, foundation and government grants and revenue from special events. To find out more about Kidney Care Institute major initiatives, including patient services, public and professional education, patient advocacy and research. I was nervous about finding a doctor that was familiar with severe aplastic anemia and how to treat it in remission but Dr. Anthony was very knowledgeable on the subject and immediately put me at ease. He was comforting, confident, and extremely intelligent. I feel so lucky that he's my new primary care doctor!